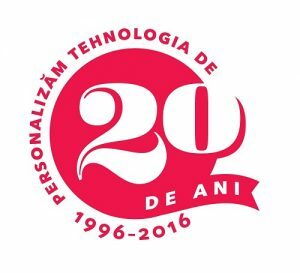 In 1996 we started out as a small computer assembler and marketer company. Plus installation, troubleshooting, well… all that was needed. There were the years when the World Wide Web was still a concept, and Google was a research project. In the 20 years that have passed since then, we have kept our passion for IT, following the emergence and development of new technologies. But most importantly, we have treated every client as a partner from the very beginning of the collaboration, always seeking to provide effective and customized solutions. Over time, we have become a resource for companies and organizations that want to improve their technology through the way they manage their operations, and, thus, to develop their business. Our clients, of all sizes, have a wide range of activities, from notaries, travel agencies and architectural offices to large industrial producers. Today, after 20 years of activity, we dominate areas such as IT infrastructure and security, software licensing solutions, cloud technology, bar code systems, digital display, or video surveillance. Customers come to us not only for equipment and software, installation and technical support, but also for know-how. We are proud to have arrived to this point with our customers, suppliers and partners. And because technology is developing exponentially, and we embrace it with passion, we will evolve in the same rhythm.